Our difference all comes from the idea of focusing first on what you want and providing you with that car as quickly as possible. The idea behind bigboxcars has always been to provide a purchase experience as simple as 'Choose | Buy | Enjoy. We have brought together hundreds of used cars into one physical location in Brisbane – and they are all online first so you can window shop from the comfort of home. You can choose what you want to see and make an appointment to explore your choices. You put in the time, you do the research and you arrive knowing what you want to look at. We then do everything we can to make this purchase as comfortable, quick and friendly as possible. To maximise our transparency, we’re set up to show you how we have arrived at that price through a real time online price comparison with the actual market (other used car dealers in Queensland). And removing the ‘I’ll just have to go and talk with my Manager’ conversation, is going to make the whole process a lot more enjoyable and quicker for all. We will give you our best price first. We will give you the biggest possible range of used cars to choose from and we will help you choose, buy and enjoy with a minimum of fuss. 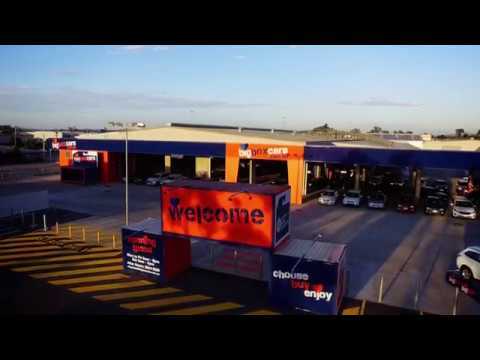 Once you have chosen your new car, we are also able to arrange Australia wide delivery via our extensive network of contacts. We are also set up to provide on-the-spot finance options tailored to your specific situation, and offer complimentary car valuations as part of our service to you. If for whatever reason the car doesn't work out for you as you imagined, we have a 48 hour money back guarantee where you can return the car for a refund, no questions asked. So when your thinking of a used car for sale in Brisbane, or you're from further a field, we are confident our huge range of used cars from manufacturers like Toyota, Mitsubishi, Holden, Mazda, Hyundai, Kia, Nissan, BMW, Audi, Lexus and more, you'll find the right car at the right price.